Fresh, green and herbal. 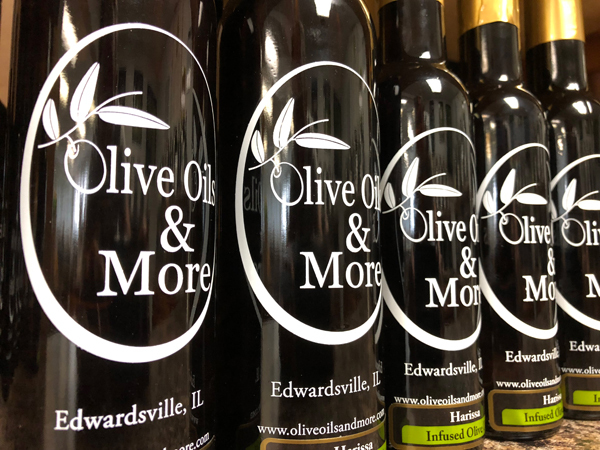 Our Basil Olive Oil is made from ultra premium, ultra fresh, mild extra virgin olive oil from our collection blended in small artisan batches. Basil and olive oil are two integral ingredients in Mediterranean cooking and it was just obvious that the two would be wonderful together. This Basil Olive Oil is delicious on a salad of fresh greens, or a simple pasta toss. It also wonderfully complements red and white meats, seafood and vegetables. Brush on bread for a grilled caprese salad sandwich, drizzle over chopped fresh tomatoes for bruschetta, combine with any balsamic for a great salad dressing (use a half and half ratio). Popular Balsamic Vinegar pairings: maple apricot, blackberry, blueberry, chocolate, peach, lemongrass mint, raspberry, Sicilian lemon, strawberry and 18- year traditional balsamic.